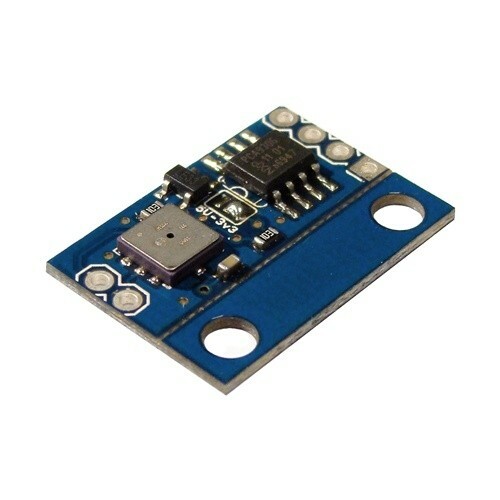 The BMP085 is a high-precision, ultra-low power barometric pressure sensor. It offers a measuring range of 300 to 1100 hPa with an absolute accuracy of +/- 0.03 hPa. The BMP085 is based on piezo-resistive technology for EMC robustness, high accuracy and linearity as well as long term stability. This sensor board supports two supply voltages modes: 1.8-3.3V and 4 to 5.5V (solder jumper selectable). 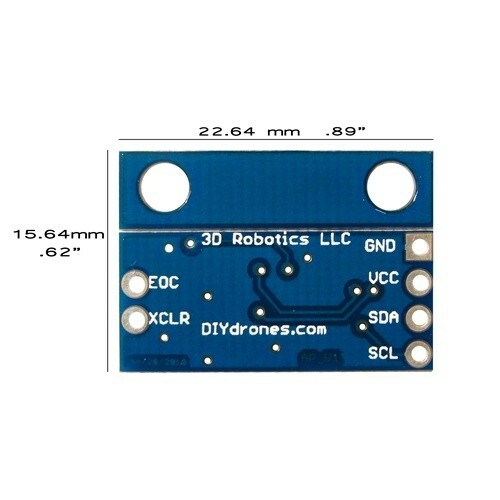 It is designed to be connected directly to a micro-controller via the I²C bus; it has a build power regulator and I²C translator that allow you to use it with 5V applications without permanently damaging the component. I²C interface with I²C translator for 5V signals compatibility. 1.8 to 3.3V and 4V to 5.5V supply range (one at time, jumper selectable). Digital two wire (I²C) interface.